Venus flytraps (Dionaea muscipula) can be some of the most intriguing plants to grow. Are they house plants? Or are they pets? They feel like a little of both. But caring for a Venus flytrap is nothing like any conventional house plant. They are not hard to care for, but they are simply very unique. Let's look at some basic flytrap care 101. GEOGRAPHY: Whether you've been to a zoo, an aquarium or a botanical garden, there is always a unifying element that you will find. For plants and animals to thrive, they must grow in the native environment from which they have adapted. If we relocate them to a different area, we must try to simulate their natural setting as close as possible. Understanding where Venus flytraps come from is the first step in understanding how to get them to thrive. Although VFTs are grown by hobbyists all around the world, they are only indigenous to a small area in North America. They are found naturally growing in a 75 mile pocket of coastline in the states of North and South Carolina, USA. Venus Flytraps are found growing in the North and South Carolinas. Looking at this basic range, they grow at a latitude of 35° N. Thus they are not tropical plants. Rather, they are adapted to mild winter cycles (USDA Zone 8a). So while they can't withstand severe cold, they certainly are accustomed to lows that can reach 10° F. In fact, as we'll discuss later, Venus Flytraps actually require a period of cold dormancy for optimal health. HABITAT: Flytraps thrive in bogs and swampy environments. Such wetlands normally have low nitrogen and phosphorus levels in the soils. VFTs are accustomed to these nutrient depleted conditions and their roots are highly sensitive to salts. As a result trying to boost nutrients through fertilization is likely to damage plant roots and could ultimately kill a venus flytrap. Thus, it is imperative that salt build up does not occur in the soils over time. So how do Venus flytraps get the nutrients they need? That's the fun part! As carnivorous plants, flytraps are famous around the world for their trapping and consuming of small insects and arachnids. After trapping its prey, a flytrap with enzymatically extract the nitrogen it needs. The nutrients are absorbed directly through the leaves! Having a full picture of a Venus flytrap's natural habitat, we are now in a position to simulate the conditions needed for growing one at home! Watch this playlist for plenty of info on raising Venus flytraps! GROWING IN CONTAINERS: In many situations, a Venus flytrap grower will focus on growing their plants in containers. It's possible to grow them successfully outdoors if you live in a temperate zone with a climate that is similar to that found in the Carolinas. But in zones below 8, the colder harsh Winters threaten to kill the outdoor plants. And in very warm climates, like the tropics, there is no cold Winter period, making dormancy a concern. Thus, your VFT plants may need to be potted for flexibility of care. Since they are adapted for growing in a coastal bog, they respond well in potting mediums that mimic such conditions. That means a media that retains water while being low in salts and nutrient content. Never buy a common retail potting mix, since it will be enriched fertilizers. 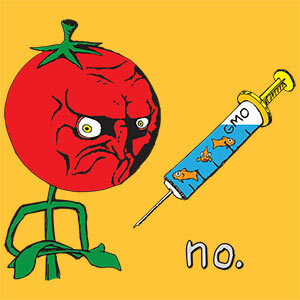 Never use compost. It's easy to make your own VFT mix from base materials. Recommended potting mix ingredients include components such as peat moss and sand. Other inert materials like vermiculite or perlite have been used successfully too. VENUS FLYTRAP POTTING RECIPES: It can be as simple as using 50% unfertilized peat moss + 50% sterile silica sand. Some people will replace a portion of sand with perlite. I've personally used peat moss + perlite + vermiculite with good success. I like having a portion of vermiculite (20%) in my mix since it enhances wicking in my sub-irrigated VFT containers. Select your ingredients. Mix them up and wet them with pure water (rain or distilled). Select a container that is at least 6" deep to accommodate the long roots that Venus flytraps send downward. Be sure the container has drainage holes. PLANTING YOUR FLYTRAPS: Fill up your container with moist mix. Using a pencil, poke a deep hole into the potting mix for your flytrap roots. Then gently insert the plant's roots, trying to get them all the way down into the hole. The lower half of the plant bulb should be partially buried into the soil. Try to pinch the soil around the base of the plant to close up the hole you had made. Gently tap the base of the pot to help the soil to settle around the roots. Drench the potting mix with pure water to wash some of the mix into the root hole, eliminating large air gaps in the root zone. Then sprinkle additional media on top to restore the soil level as needed. APROPRIATE WATER SOURCE: Using the right type of water for your Venus flytraps is absolutely essential for long term health. As mentioned earlier, flytrap roots are extremely sensitive to high levels of nutrient salts. Osmotic stress occurs easily, quickly drying out the tiny root fibers and killing the plants. TDS: That's why you should not use common tap water for your VFT containers. Your watering source needs to have a very low level of total dissolved solids (TDS). The total dissolved solids in your water supply refers to the various elements that are dissolved in the water. This can encompass a variety of metals or salts. Various water supplies can have different levels of calcium, magnesium, potassium, iron and sodium. PPM: If your drinking water is classified as "soft" water, then it has a relatively low level of minerals dissolved in it. This is often measured in parts-per-million (PPM). So a soft water would be under 60 ppm. On the other hand, a "hard" water source would measure at 120-180 PPM. The higher the number, the more minerals in your water. For healthy Venus flytraps, we need as low a number as possible. Your best bet is to use water that is from 0-50 PPM. FILTERED WATER: Filtering water can remove some of the dissolved solids. Some systems like reverse osmosis are extremely effective at pulling out salts. Water from reverse osmosis purification will typically be pure enough for Venus flytraps. But a water softening ion exchange system might not produce suitable water. Ion exchange purification replaces calcium and magnesium with sodium. So you're exchanging one type of salt for another. Charcoal filters (such as PUR or Brita filters) can reduce the PPM of your water. But the only way to know if they've removed enough salts would be to test the water with a TDS tester meter. 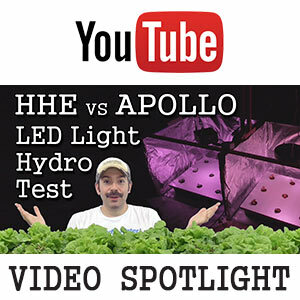 RAIN WATER or DISTILLED WATER: These are going to be the best options for watering your VFTs. Distilled water is absolutely pure and should register a PPM reading of zero. Rain water is also very good when captured in clean containers. It might have a higher PPM if it was captured from your roof. But a PPM under 50 would still be acceptable. Rain water has the added advantage of being 100% FREE! VFT FEEDING SCHEDULE: Since Venus flytraps grow in fairly infertile soil, they require alternate ways of getting their nutrients. This applies particularly to their nitrogen. A periodic meal results in optimal growth and health. Only feed one or two traps on any given plant. Anywhere from once a week to at least once a month will suffice. Be sure flytraps have food during their active growing cycle. However, a few months out of the year the plants go through a winter dormancy cycle. Don't feed them during this time. TRAPPING MECHANISM: Upon close examination, you'll notice that each trap has a few little hairs on the inner side walls. There are exactly 3 little hairlike sensors per side. When 2 or more have been physically touched, this signals for the trap to snap shut. That's how these little guys catch their prey! You can try triggering it for fun with a toothpick. Eventually the trap will open back up, if it's empty. But don't do this very often, because the traps eventually stop responding after many open-close cycles. 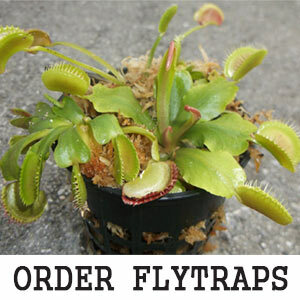 FLYTRAP FOOD OPTIONS: Do not feed human food or raw animal meat to your Venus flytraps. They cannot properly process the fats and other compounds in such food. Rather, the best choices revolve around what flytraps naturally catch in the wild: Insects and Arachnids. 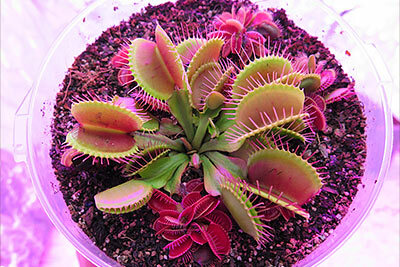 Flies, worms, ants or spiders are all great foods for a flytrap. If you keep them outside, they'll naturally catch what they need and you may not need to feed them at all. An easy way to tell if they need fed is by their color. A well nourished VFT will be mostly bright green. If your trap is pink, even deep magenta, then it may be signalling insects to approach. Such traps need a feeding and afterwards they will start to green up! INDOOR FEEDING: If you're keeping Venus flytraps indoors, then they may not be getting food naturally. Besides trying to catch live spiders or insects, you do have additional options. Mealworms and bloodworms are two excellent foods. These can be bought in a freeze dried form for easy storage. Just re-hydrate them before feeding. You can get these from a local pet store, bait shop or even off of Amazon.com. Another convenient option is betta fish food. The betta pellets are very easy to use. Just get some tweezers and drop in your VFT food of choice and you're good to go! FlytrapCare.com - Visit the forums for support!